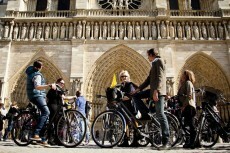 Experience and explore by E-bike the world-renowned monuments and hidden charms of Paris: All in 3 hours. 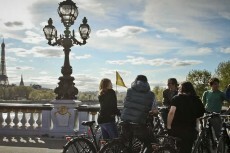 From the comfort of your E-bike come across a hidden game of pétanque at the oldest Parisian monument as you discover all the twists and turns of the Marais. Marvel at the Jardins des Plantes. Effortlessly climb the slopes of the Montagne Sainte-Geneviève. Take in the student life of the Latin Quarter then the artists’ cafés of Saint-Germain-des-Prés. Follow the grandeur of the Obelisk and travel in time on your way to the head-turning attractions of les Champs-Élysées. Amidst all the bustle and excitement of this legendary city we will reveal the relaxing calm of the quiet refuges of Paris. A thousand-and-one ways to explore the City of Light. The endless charms of the most beautiful city in the world are waiting to be discovered. All of this in one tour—everything is possible. 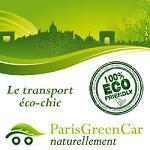 The price of the visit does not include: -Food and drinks at scheduled stops.